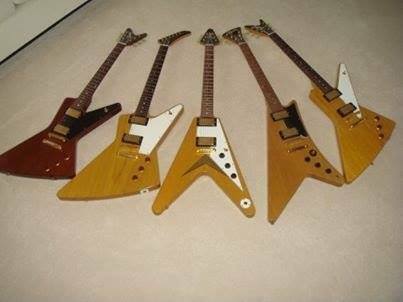 Futura, Flying V, Explorer, & the holy grail Moderne. 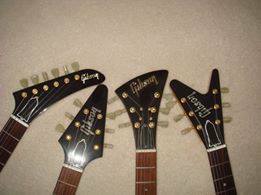 The rare Futura had a split headstock and there were some models made out of Mahogany. 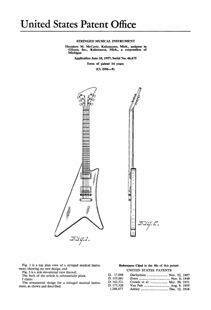 The Flying V ( shaped like a V) & Explorer ( shaped like a bigger fuller Futura) were both manufactured with two different style headstocks: Pointed was the original design on the Flying V but a few of the very limited production was made with split headstocks. 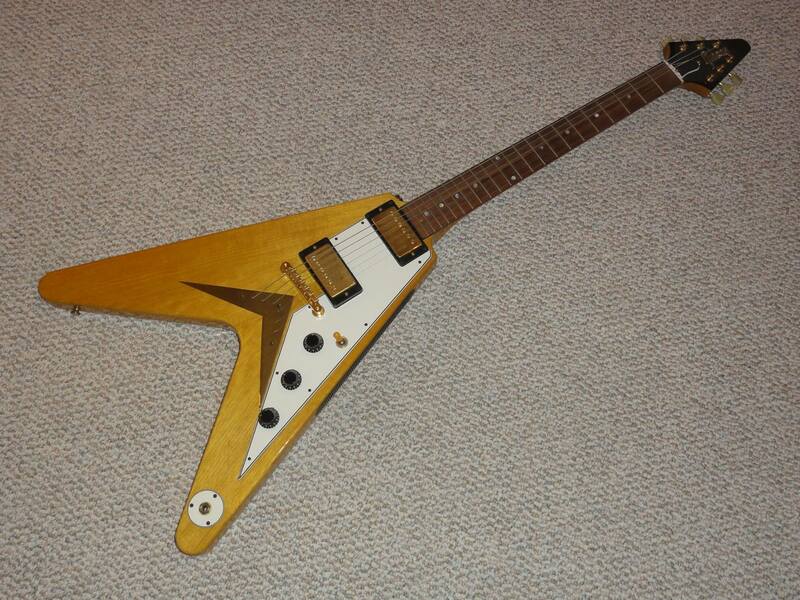 The Explorer had a radius or curved headstock with six tuning keys in line and some very limited numbers did also have a split headstock.They were made with gold plated parts in 1958 and 1959, then some bodies were discovered at the Gibson factory in 1961 and they made a few with nickel plated parts and smaller tuning keys and are still worth close to a quarter of a million dollars! The most elusive mystery is the Moderne. 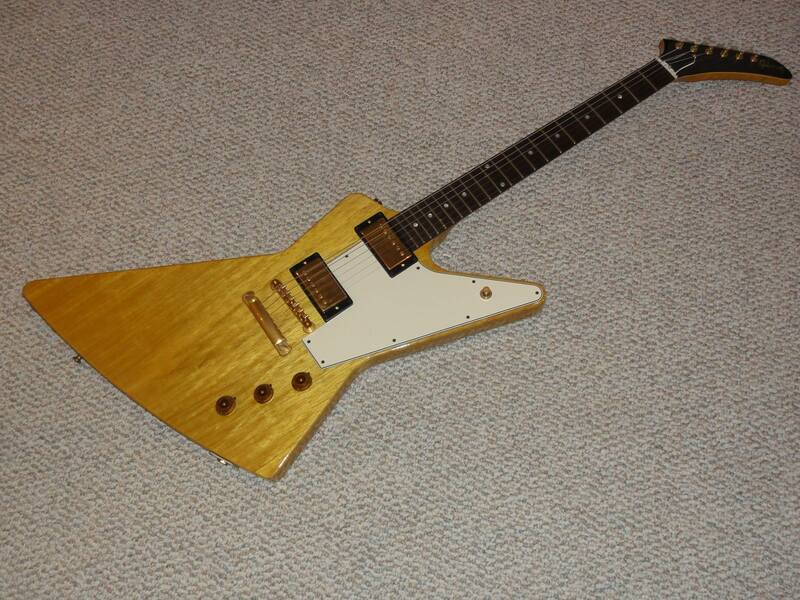 No original Moderne models have ever surfaced even though there are people ( employees at the old Gibson factory in Kalamazoo Michigan) who have claimed to see them at the Gibson factory during that era of production, There are many fakes and counterfeits that have surfaced only to be disproved. 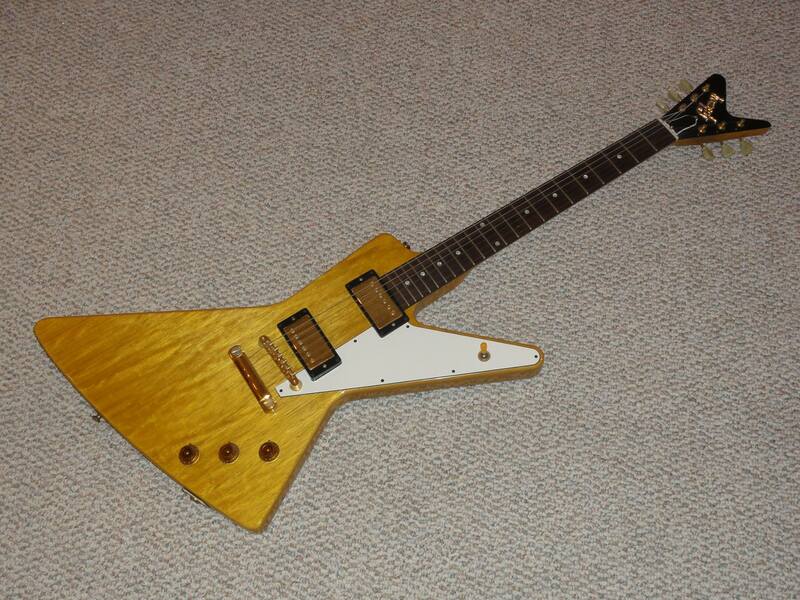 In 1982 Gibson manufactured a Moderne and so far these are the only Modernes known and none from the original late 1950’s have ever surfaced. 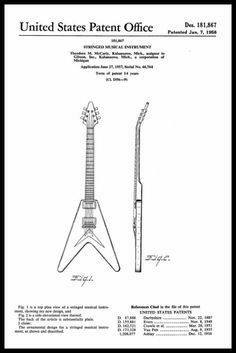 There are patent office drawings that show Gibson did intend to build a Moderne, but for now is still the “Lochness Monster” or “Yeti / Bigfoot” of all guitars. 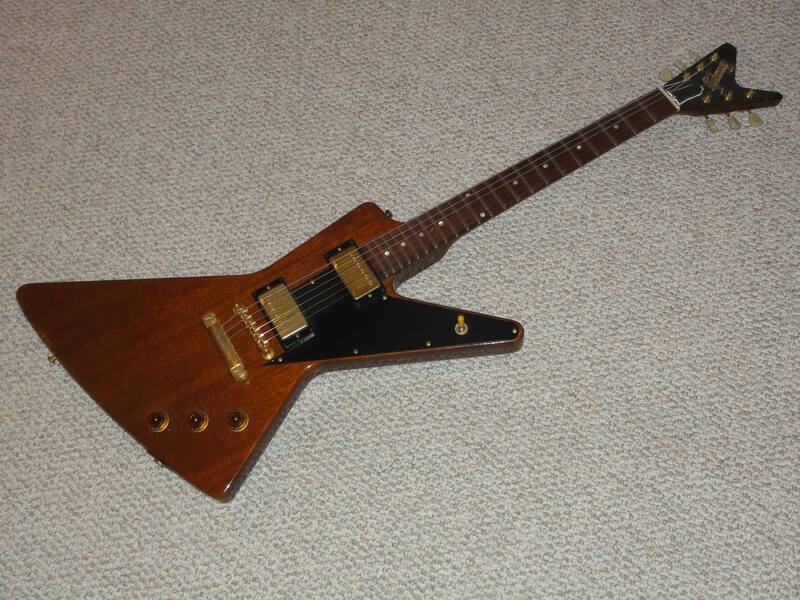 Gibson resumed making Flying V’s again in 1967 and those models were made in Mahogany and are also very rare although not as rare and valuable as the Korina 1958 / 1959 models. 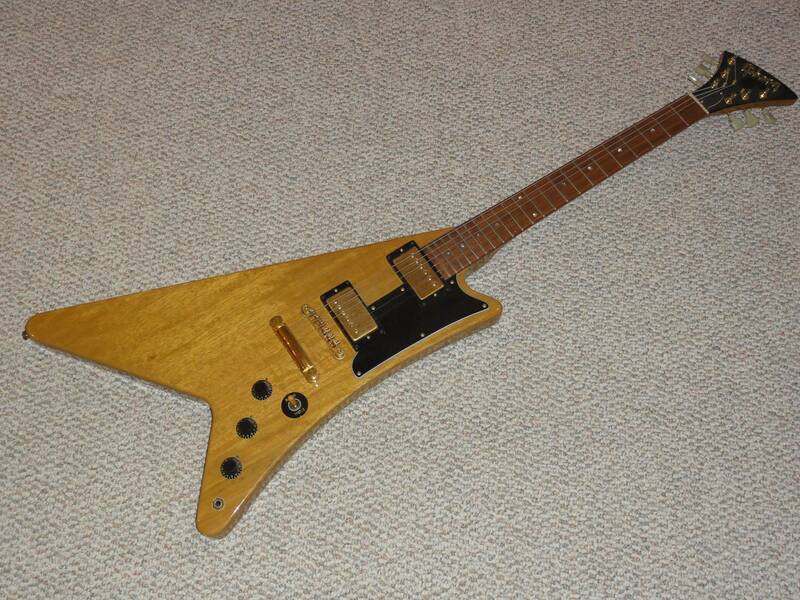 Gibson also started to make Explorers again in the 1970’s and still make them. 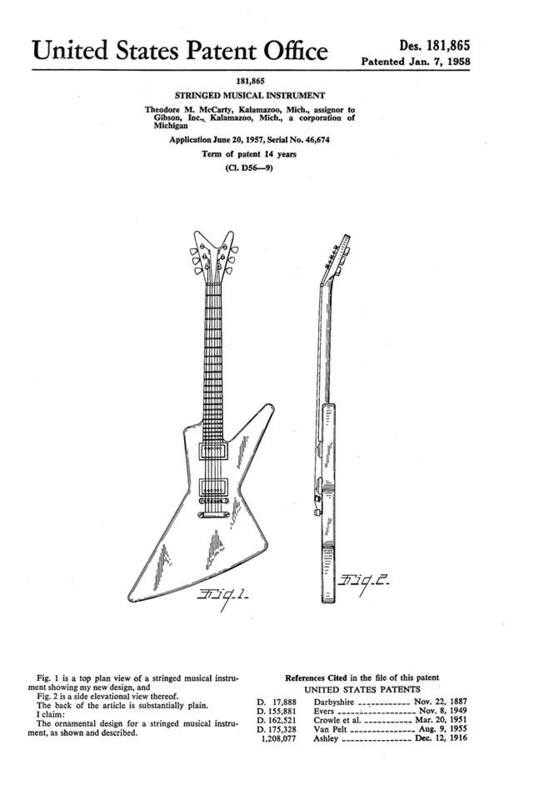 The Korina re-issues still are worth thousands but not like the original runs from 1958 through 1961 that are and have been valued up to a half million dollars and more.